While I love chilli, not all spices are prone to blowing your head off. While they do tend to be great additions your food’s taste, they are also often included for their health benefits. So what’s so great about turmeric? Well, I mean aside from its colour of course! Turmeric has been used in parts of the world for centuries. It has long been believed to provide relief from ailments and prevent others, and has often been viewed as medicine. Now, Western science is looking at it with a critical eye, and so far has been pretty well impressed. So what is it about turmeric that has us all agog? Well, it’s a little thing called curcumin. Turmeric’s secret weapon. 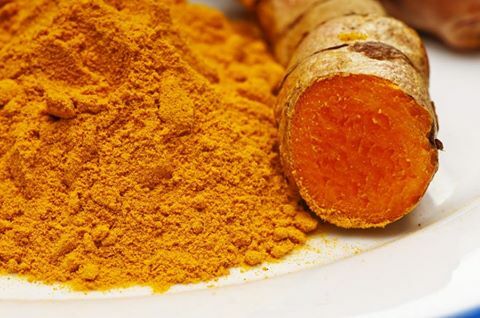 Just about all the good effects of turmeric come from curcumin. The major benefits of having this in your diet is that it is an anti-inflammatory, and an antioxidant. This is particularly useful to people eating a Western diet as chronic inflammation contributes to a large number of prevalent Western illnesses and conditions. And as for being an antioxidant, it plays out a little like an action movie. Curcumin (played by Liam Neeson) directly tackles free radicals (the bad guys), and also rallies the body’s own immune system (oppressed local population) to better deal with them (overthrow their evil persecutors). These are the effects that we know about, the things that we are sure of. But the evidence suggests much greater things, and science is working to prove them. Chief among these ‘greater things’ is turmeric’s potential as a cancer preventer/treatment. What we have seen so far is promising in this field because it seems to actually be killing some cancer cells and slowing growth of new blood cells in tumours. The future for Curcumin keeps getting brighter! Recently curcumin was tested against sepsis, a function of the body that fights infection. Unfortunately, it also harms blood vessels and causes the body to under-synthesise proteins. This can cause some internal bleeding and muscle wasting. But when curcumin is used, muscle wasting can be turned completely around. Rather than degenerating, muscles can heal and repair, and your recovery is that much faster. Turmeric helps to fortify your body. And better yet, it’s completely natural.